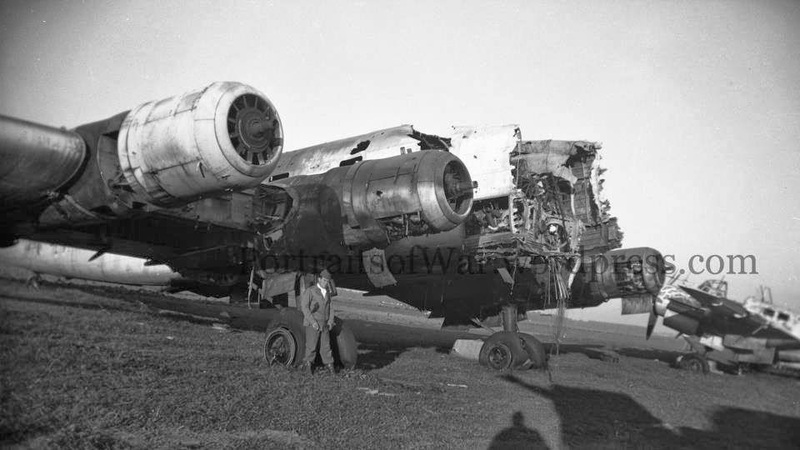 Undoubtedly one of the most photographed machines of Fernaufklärungsgruppe 5 was this Junkers Ju 290 A-7, W.Nr. 0191, Verbandskennzeichen " 9V + AB " which had been assigned to the Gruppenstab during May 1944 (Kennzeichen KR+LV) and was probably the Stabsflugzeug of the Gruppenkommandeur Hptm. (later Major) Fischer. 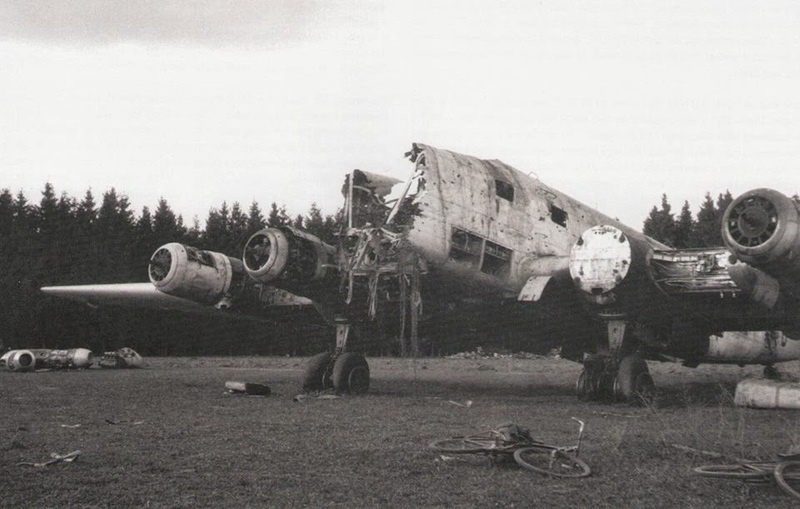 It was damaged during a strafing raid (durch Tiefflieger) on its Abstellplatz (Brunnthal, south of Munich) the following September (probably 10 September) some time after FAGr. 5 had moved back to Germany from their Atlantic operations base on the French coast at Mont de Marsan. Thereafter the aircraft was apparently used as a source of spares as the photos show a number of fuselage parts are missing and the aircraft appears in no FAGr. 5 Flugbücher after this time. (p.189 Günther Ott, "Die grossen Dessauer" ) At war's end an explosive charge was set off in the cockpit. Note the Schräge Musik- equipped Ju G-6 in the background. 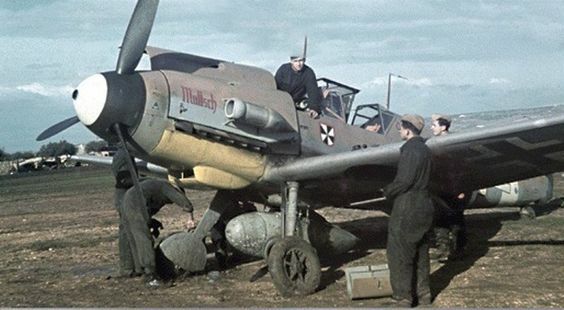 Another nice view of the front of this aircraft appears on p.193 of Günther Ott, "Die grossen Dessauer" ..